Sea Dragon. Card Artwork. Monster Class: Bath Time Dragon. The Sea Dragon is one of the fearsome monsters one faces in Thy Dunjon Quest. 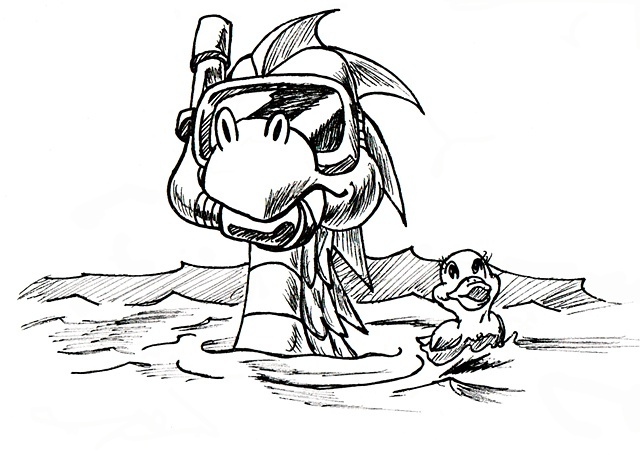 I made it so that its just a dragon wearing a snorkel. The rubber duckie wasa last minute add-on to make it a creature more interested in bath time than sinking ships.